Your next adventure may be waiting for you in Fjaerland. A scenic hike adventure with glacier and fjord view in the National Park. Enjoy glacier shaped landscapes and the blue ice in a pristine valley. A perfect family activity where you hike in the Mundal Valley. Explore big peaks of Fjaerland and hike a traverse with fjord and glacier view. Padle the calm fjord in Fjærland while viewing the glaciers. A guided culture and history walk in Mundal through the Booktown. Enjoy the special light among mountains and fjord in a winter wonderland. Steep steps into Jostedalsbreen National Park with glacier and fjord view. A perfect hike for families or those who want a gentle acitivity with fjord view. A family activity where you hike a ridge close to Bøyabreen Glacier. Hidden paths made by local sheep on a fjord mountain ridge. Fjaerland Guiding is a network of local guides with different special qualities. We focus on slow adventures in relaxing surroundings. Everything from fjord to glacier is possible - from water to meadows, rock and ice. We work close with accommodation providers and eateries in Fjaerland. This is the glacier geek. The glacio-geek-ologist. He is from a mountain village on 'the other side of Jostedalsbreen glacier'. Once he discovered Fjaerland, he never looked back. He loves skiing, climbing and hiking the mountains and glaciers. His expertises are guided mountain and glacier hikes. This is the adventurous one. The explorer. He is a native Fjaerlandian, from the village of Mundal. Here he lives as a carpenter and handy man. Sometimes he travels to explore summits of other continents. Like Mt. Kilimanjaro, Mt. Aconcagua or Mt. Denali. His most recent adventure was climbing the summit of Mt. Elbrus, the tallest peak of Europe. His expertises are kayak, and guided mountain and glacier hikes. This is the girl, and boy she is strong. Born and raised in the neighbour glacier village of Jølster. She is educated teacher and personal trainer, next to being an adventurous mountaineer. Also, she is the social media queen of hashtags in the Fjaerland Guiding team. Her expertises are kayak, and guided mountain and valley hikes. They are local book lovers who knows everything about the history, culture and heritage of Fjaerland. Their expertise are, of course, books! Tilfjells is based in Jølster. They do all kinds of guiding and also courses such as alpine skiing and avalanche safety and rescue, and climbing. Check out Tilfjells here! Jonn Skagen is based in Sande in Gaular. Their expertise are adventurous hike expeditions to Kilimanjaro - the highest mountain in Africa. Check out Jonn Skagen here! The Norwegian Glacier Museum is an interactive museum for the whole family with a lot of information about glaciers and climate. 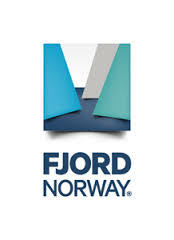 They are an important partner regarding the administration of Fjaerland Guiding. Visit their website here! Fjærland Fjordstove Hotel is a great place to stay, eat and drink. It is also our base for kayak trips in the Fjærlandfjord. Check out Fjærland Fjordstove Hotel here! Bøyum Camping is a modern family owned camp site beautifully located between the Jostedalsbreen Glacier and the Fjærlandfjord - a branch of the Sognefjord. This is a great base for doing activities with Fjaerland Guiding. More about Bøyum Caping here!